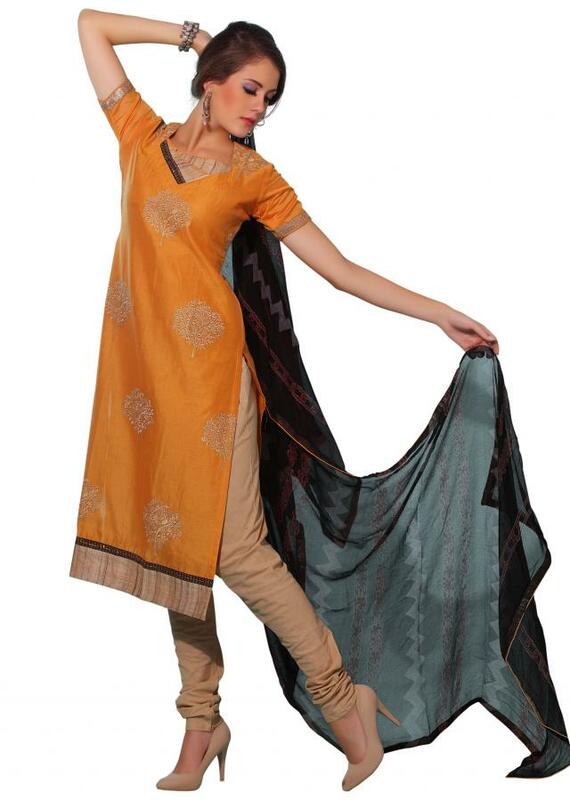 Unstitched suit featuring in orange silk. Its embellished in resham butti all over. Bottom fabric is in cream cotton and dupatta in black chiffon.